I mentioned in my article on the challenges on investing in copper age comics is to find a book that has the visibility of the Big Two but has a more limited supply. Given that most copper age comics are available in abundance in even 9.8 condition, this proves to be a challenge. Today’s book of focus: Sandman #8 can be such a candidate. This table compares Sandman #8 with 2 other books to reveal its relative scarcity in 9.8 condition. Solar #10 is a well know book that is hard to come by in 9.8. This can be clearly seen in its prices which is hovering around $650. Compared to Solar #10, Sandman #8 is really not that abundant as well, with its current 156 9.8 copies and a 21% 9.8 to total submission ratio. This is even clearer when you see the amount of Sandman #1 that is available in 9.8 condition. With its current price of around $300, there is definitely room to grow, especially when the spotlight is shining on Death again. Unlike a lot of speculative books, Sandman #8 has always been in the top 50 copper age ‘blue chip’ keys. It might not receive any fanfare, which makes it the very reason to invest in it now. The good thing about blue chip books is that they can always make a comeback, under the right conditions as the fundamental of the book is strong. The recent upswing of HOS #92 is a testimony to this strategy. The supply condition for Sandman #8 is ideal, even though it is a copper age book. Its 9.8 to total submission ratio is only 21%, which can be considered low. Just remember, Solar #10 has a ratio of 13% and has already been widely acknowledged as a tough book to get in 9.8. If this book gets hot, I don’t think we will see a flood that balloons the census number of 9.8 to the Sandman #1 level of 500+ copies. The main character, Death, was once pretty popular in the 90s due to its quirky character design and grunge appeal. As the saying goes, “what was hot once might be hot again”. Since a lot of copper age books have benefit from this phenomenon, it might happen to Sandman #8 as well. Another reason to invest now is that DC seems to be bringing the Sandman characters back in a big way. First is the last page of Batman: Metal #1. If you read that book, you will know what the surprise all about. 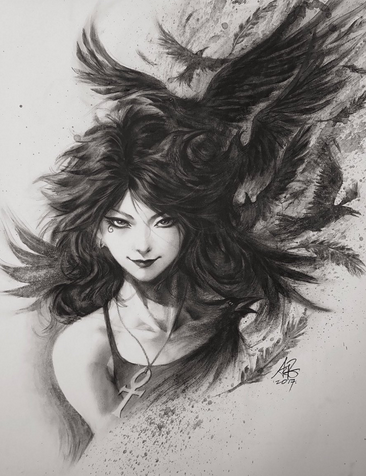 Second, artgerm posted a drawing of Death on his facebook, saying that it is for a future DC project. This might be a hint that DC is gonna launch some new titles focusing on the Endless family.